"Dirt! The Movie," a documentary that provides an inside look at Earth's most valuable resource, will have its Ventura County debut on Saturday, June 26 from 4:30 to 6:30 p.m. at the Ojai Theatre (145 E. Ojai Ave., Ojai). Hosting the screening is the Ojai Valley Green Coalition. Oxnard-based Agromin, a manufacturer of earth-friendly soil products made from recycled organic material, is the evening's sponsor. 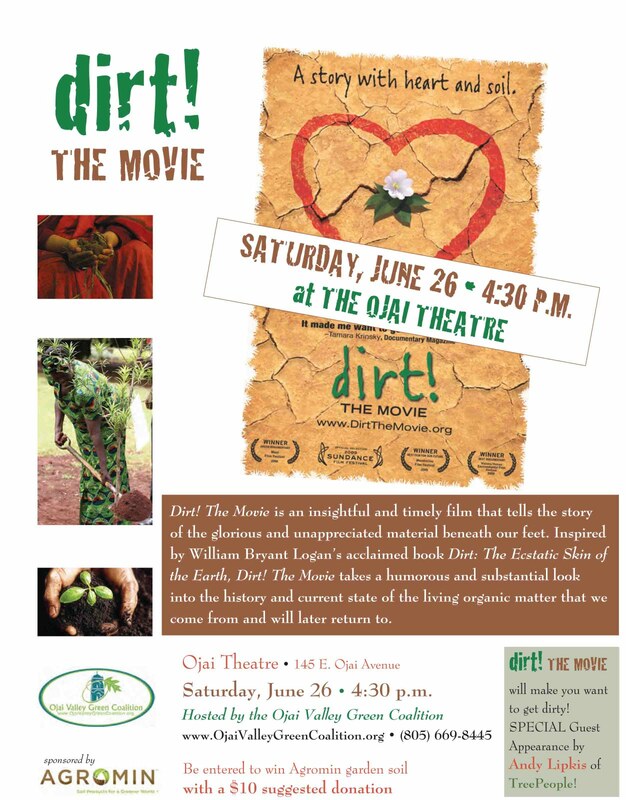 "The movie is a fascinating look at the history of soil and its impact on human civilization. It gives an account of mankind's missteps throughout the centuries that have led to the destruction of much of this critical element that is necessary to sustain life. It also offers hope and shows how all of us can do our part to preserve and enrich the soil for future generations," says Bill Camarillo, Agromin CEO. The company recycles more than 365,000 tons of green materials each year in Ventura, Santa Barbara, Los Angeles and Orange counties and composts the materials into organic soil products used by farmers, landscapers and consumers. "Dirt! 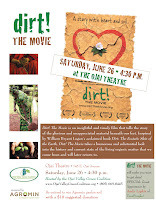 The Movie," narrated by Jamie Lee Curtis, was inspired by William Bryant Logan’s acclaimed book Dirt: The Ecstatic Skin of the Earth and was shown at last year's Sundance Film Festival. Guest speaker for the June 26 screening is Andy Lipkis, founder of TreePeople and featured in the film. Ojai Valley Green Coalition executive director. "Plants are a side benefit that will happen if there is good soil."